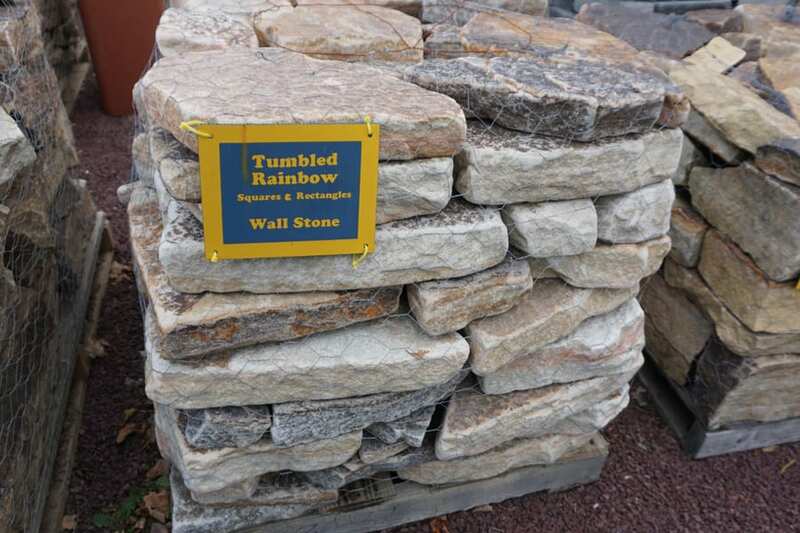 Tumbled Rainbow Wall Stone takes irregular shaped pieces of rainbow stone and tumbles them with an abrasive to soften the edges and give the stone an aged, weathered look. The result is a wall that can look like it was in place for a long time - a highly desired look in many landscapes. These pieces are of reasonably uniform heights so a wall is relatively easy to build by wall standards. A colorful stone in our Rainbow Family Of Stone. The same beautiful rainbow stone put through the tumbling process to soften the edges. Stratified layers of color make for a very unique stone wall. 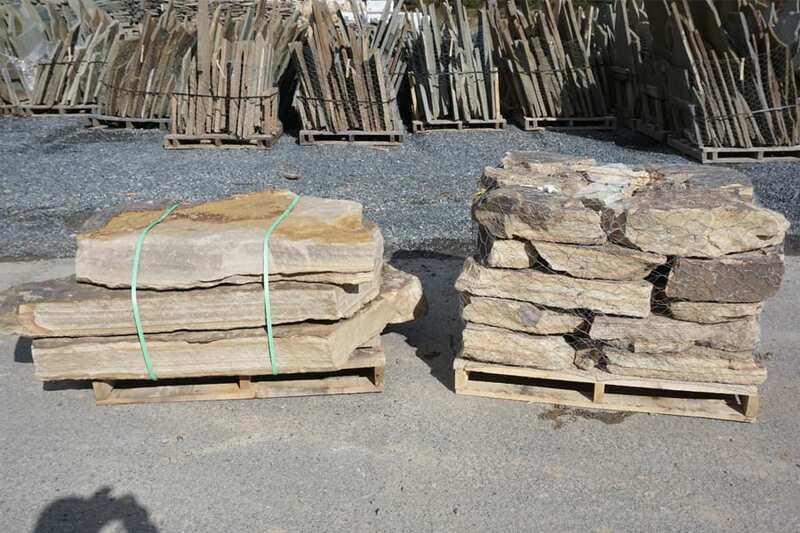 One more member of a family of Rainbow stone products at Wicki Stone. 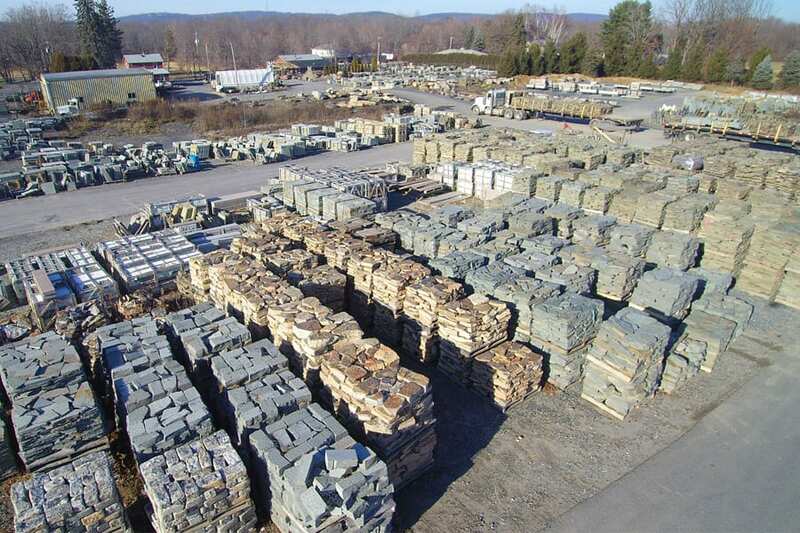 The stone tumbling process takes natural stone and mechanically tumbles it to soften the edges. The stone is still rough but there are far fewer sharp edges.